The Scarlet Mormon (Papilio deiphobus rumanzovia) is a butterfly of the Papilionidae family. It is found in the Philippines, but has been recorded as a vagrant to southern Taiwan. The species was named by Johann Friedrich von Eschscholtz after Nicholas Rumanzow, Chancellor of the Russian Empire. 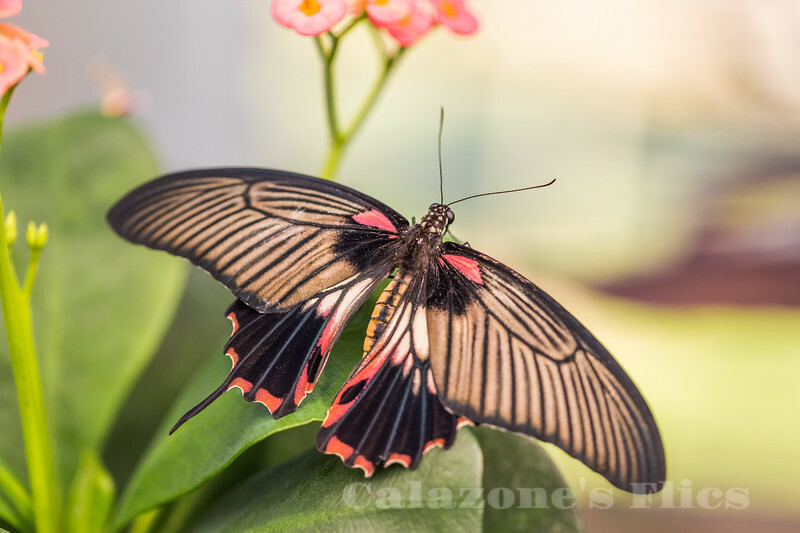 It has traditionally been regarded as a species of its own rather than a subspecies of Papilio deiphobus; the former treatment is still preferred by some. The wingspan is 120�140 mm. The male strongly resembles the male Papilio ascalaphus, but lacks the tail at the bottom wing. In contrast, the female has distinct red markings on the wings. The larvae feed on Citrus species. What a beauty and a wonderful capture.